Our friends from Wild Borneo Expeditions and their group recently spent the day with Downbelow again, snorkeling the beautiful coves and bays of Gaya Island. The group, consisting of students from an international school in Dubai, was watched over by our instructor team, ensuring their safety at all times throughout the day. 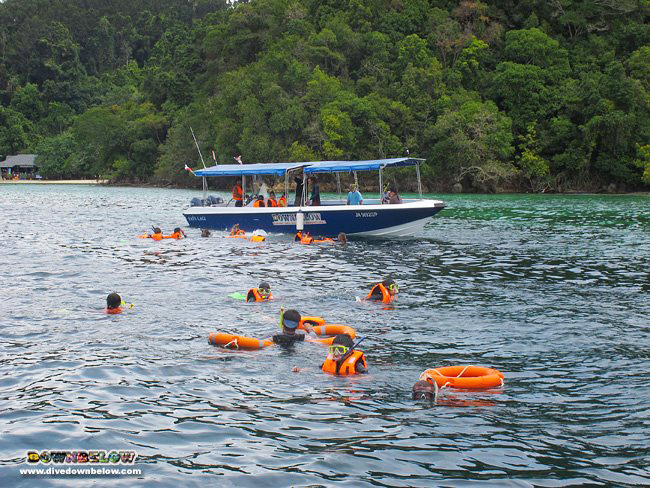 Wild Borneo Expeditions regularly use Downbelow’s awesome facilities and services on Gaya island, 10 minutes from Kota Kinabalu, to facilitate snorkeling, diving and marine conservation education for their groups. Contact Downbelow for more information on what we can offer school, corporate and leisure groups.